M.A.D. 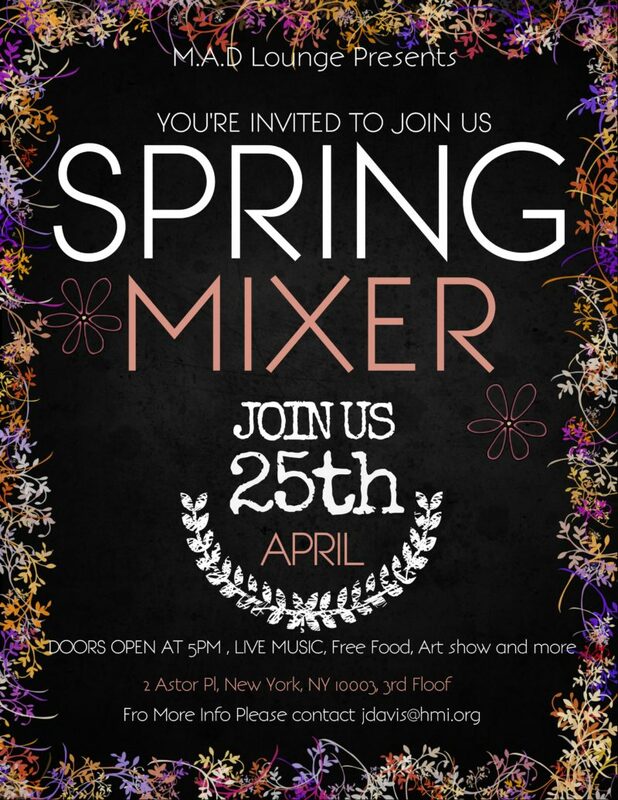 Lounge presents our Spring Mixer on April 25th with live music, free food, art show and more! For more info, please contact jdavis@hmi.org.